If you're here for the Christmas Greeting﻿s Blog Hop, please click HERE. 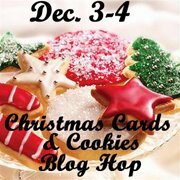 Today is Day #2 of the Christmas Card and Cookie Blog Hop. Are you stuffed yet? Drooling??! If you'd like to start at the beginning of this fun and gather up some great recipes and crafting ideas too, click HERE to go to Dena's blog. My cookie is the Classic Gingerbread. How can you go wrong when this cookie gives your house a distinctly Christmas aroma? 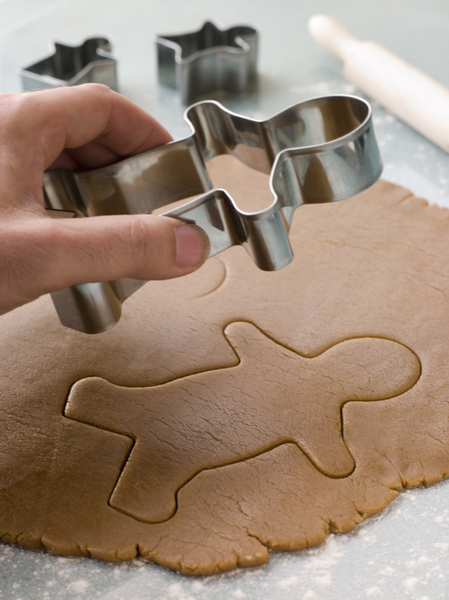 For today's post, I expanded upon the idea of making gingerbread to make other cookies with essentially the same dough. When you make the gingerbread cookies, turn them into "sandwiches" like S'Mores. You'll be slathering the underside of one cookie with melted bittersweet chocolate, topping it with Marshmallow Fluff mixed with cream cheese and a second cookie! For another take on the recipe, take the scraps and roll them into balls ... roll the balls in sugar (or even sugared cinnamon), and bake them as "ginger crisps". This is the exterior of a 5x7" card. I used Nikki Sivils Scrapbooker paper and a Pure Innocence digi-art girl from Heather Ellis. In the digi-art, the girl is holding a cupcake. 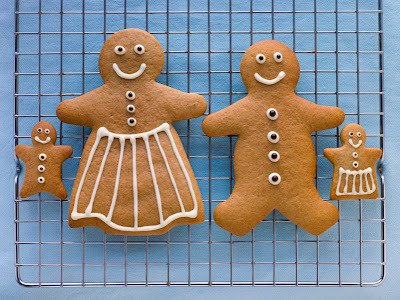 It's EASY to cut that out, and instead change it out for a gingerbread man, cut from a Sizzix die. The inside features a pocket that contains all three recipes. 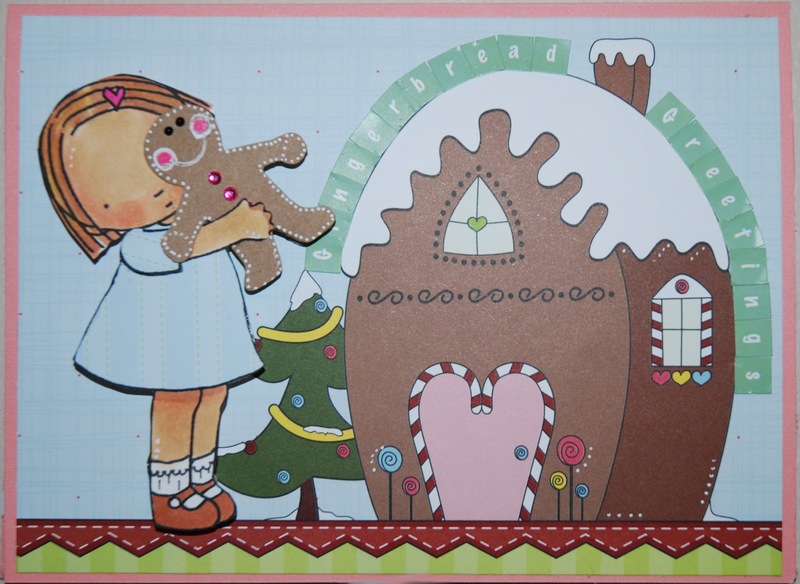 The embellishments are by Sizzix (gingerbread men die) and by Nikki Sivils Scrapbooker. Now, before you head to the kitchen, I have a sweet (LITERALLY) bit of blog candy for you ... your very own kit to make some gingerbread cookies. I'll include some edible embellishments, a gingerbread man cookie cutter, and some cute Ikea magnetic storage tins that when you're done baking, you can use the tins to store your craft supplies!! To win this gift, just leave a comment on this posting and be/become a CardMonkey blog follower. In your comment, please tell me if you have a favorite Christmas memory of time spent with your Grandma ... I'm searching for a tradition for my precious Charlotte to share, and I'd like your help. Also, please leave a way for me to contact should you win this very special prize! Now hop on over to KERRI to see what sweetness she has in store for you! Happy baking, and Merry Christmas!! 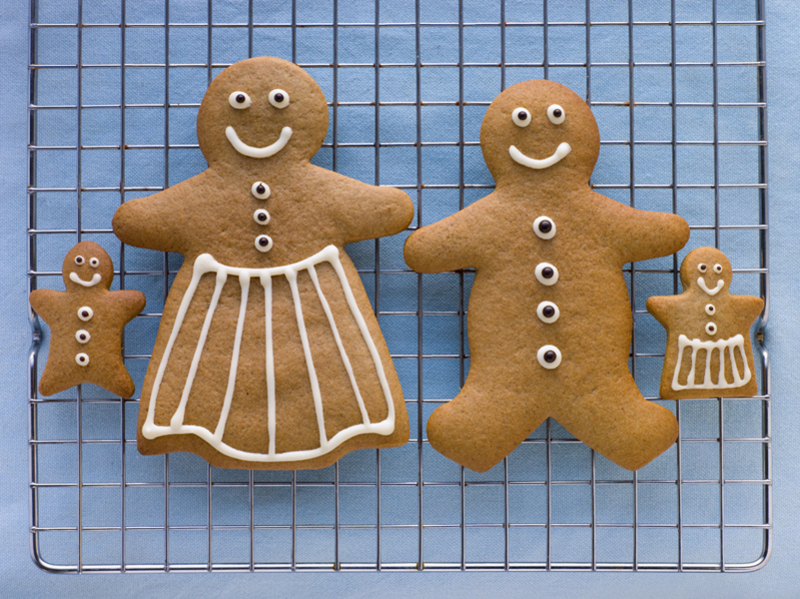 how cute is that gingerbread family! Love them!! Your card is precious! 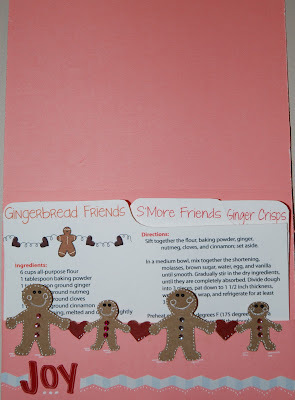 Love the card the image is adorable and including the recipees is awesome. BTW yeserdays recipe card was adorable as well! Love the card. I decorate my kitchen in gingerbread boys and girls for Christmas. I remember making raviolis with my Grandmother. She would let me fill them. We always had a huge platter full on holidays. I make cookies and bread with my 2 granddaughters now. Love that time together with them. I am hopping by to say, "Have a sweet day!" I just LOVE the gingerbread cookies and recipe card holder. Can I please be you when I grow up :D So glad to be in this hop with you!